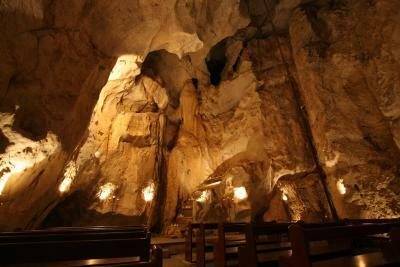 Lock in a great price for Capricorn Caves – rated 9.4 by recent guests! We loved the cabin, it was clean and tidy. It was spacious and had plenty of bedding and towels. Even a lovely little welcome basket - the kods demolished it very quickly. the room was large,clean and comfortable.Very peaceful spot with natural surroundings. Extremely friendly and helpful staff. Capricorn caves tour is also very good. Staff were so friendly and helpful. Cabin was really clean and comfortable. Pillows were just right! A goodie basket of cereal, popcorn and marshmallows was included, which the kids loved, as well as tea, coffee, milk and biscuits. We did 3 cave tours, which were great - we enjoyed the family adventure caving the best. Wifi available at the reception, it was quite nice not to have mobile coverage or Internet access at the cabin, you have to switch off and can really appreciate how tranquil and beautiful the place is. The cabins were spacious and very clean and also contained a welcome basket which was lovely as you do not see them much any more. The staff were friendly and helpful and jumped at any opportunity to assist us. We loved the tour of the caves as well as it was very informative and interesting. Well the cabin was fantastic, with a fully equipped kitchen. The rooms were a good size with a double bed in 1 and 2 bunk beds in the othere but it never felt squished as there was still space to walk around in the rooms comfortably. There was a little complimentary welcome basket on the table with cereal, popcorn, marshmallows and a few other things in it. All the staff were friendly and accomadating. 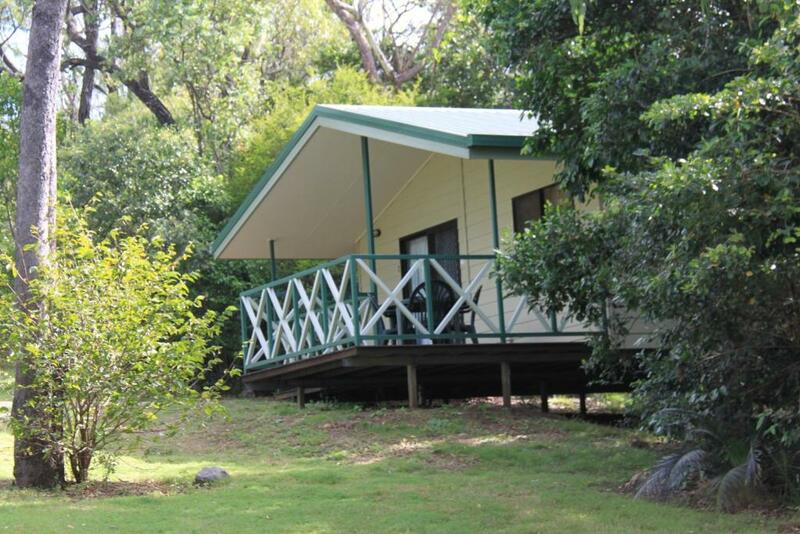 The cabins weren't close to each other so you had the privacy with them being nesseled in the bush, but it wasn't a long distance to get anywhere around the sites either only a short walk. All in all very relaxing. Comfortable beds in deluxe cabins. The cave tours were great. 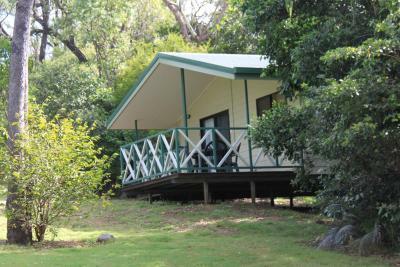 Very comfortable accommodation, Great for overnight stay while enjoying the amazing cave adventures. 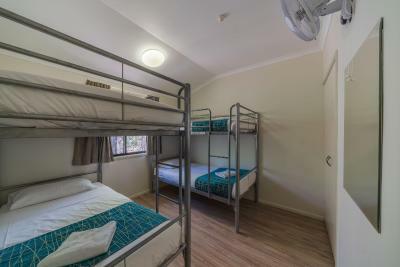 Capricorn Caves This rating is a reflection of how the property compares to the industry standard when it comes to price, facilities and services available. It's based on a self-evaluation by the property. Use this rating to help choose your stay! 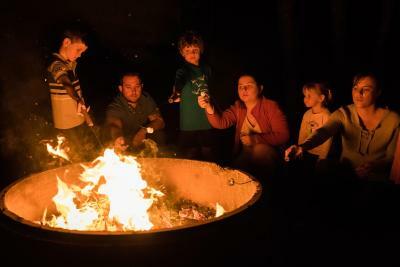 At Capricorn Caves guests enjoy warming camp fires, an outdoor swimming pool, and free Wi-Fi in the business center. Located 20 minutes' drive from Rockhampton, all accommodations features a private patio. 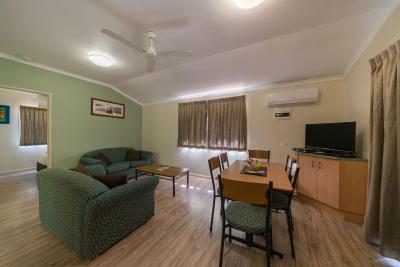 Each air-conditioned bungalow is set among beautiful native gardens and offers a kitchenette with a stove, a microwave, a toaster and an electric kettle. It has a spacious dining and living area with a flat-screen TV and DVD player. The private bathroom has a bathtub. Capricorn Caves Rockhampton is a 25-minute drive from Dreamtime Cultural Center and Mt Jim Crow National Park. 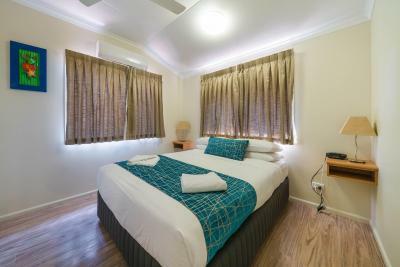 Rockhampton Airport is a 30-minute drive away. Soak up the sun on the large outdoor decks, or enjoy a meal with friends in the BBQ area. The on-site tour desk can arrange your next caving adventure. 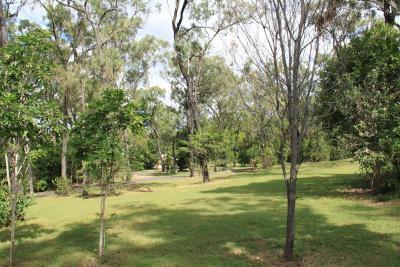 This property also has one of the top-rated locations in Rockhampton! Guests are happier about it compared to other properties in the area. 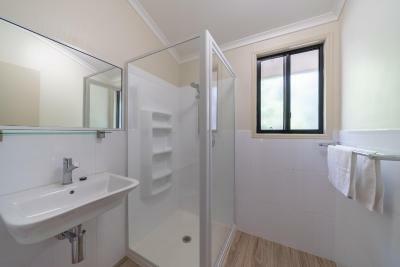 This property is also rated for the best value in Rockhampton! Guests are getting more for their money when compared to other properties in this city. When would you like to stay at Capricorn Caves? This air-conditioned bungalow is set among beautiful native gardens and offers a kitchenette with a stove, a microwave, a toaster and an electric kettle. It has a spacious dining and living area with a flat-screen TV and DVD player. House Rules Capricorn Caves takes special requests – add in the next step! All older children or adults are charged AUD 10 per person per night when using existing beds. Capricorn Caves accepts these cards and reserves the right to temporarily hold an amount prior to arrival. there could have been a grocery shop to buy milk and bread and some fruit and veges. There was nothing we didnt like as such just the lack of breakfast options close by which has no bearing on the capricorn caves venue. There isn't anything that I would say I didn't like. Lovely place to stay for the night with no negatives. Wi-Fi at the cabins. A fire pit and BBQ at the cabins. The cabins are meant to be secluded but the one we stayed in faced onto the tent pitches and grounds which attracted younger people to play ball games.